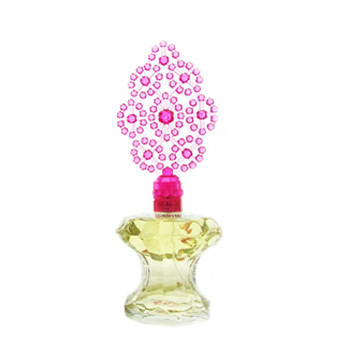 Betsey Johnson is an Eau de Parfum. It has sugary notes of Praline and fruits of Pear, Apple, Grapefruit, Tangerine, Black Currant, Freesia, Lily of Valley, Cedar Wood, Sandalwood, Amber and Musk. Seductive and Flirty. OMG, its so yummy and sweet. Love how sweet and happy this smell is!! Sweet. I really couldn't handle smelling it all day. I think the musk was too much for me. Definitely a soft slightly musky-sweet fragrance. This would be easy to wear day or night since it is subtle and not an "in your face" perfume. I will be buying a full sized bottle of this in the future. Very sweet has a bit of musk gives it a daring side. Great evening fragrance very fun and very long lasting. Smell soooooo good! Great first perfume from Luxury Scent Box! I liked citrus, fresh scents. I did not smell any citrus in this scent. Was musky and powdery. Not horrible. But not what I wanted. Strong and sharp. It's ok.